The Rockport, Texas area and Aransas County Independent School District bore the full force and fury of Hurricane Harvey. Their buildings were battered but their spirit remains intact. 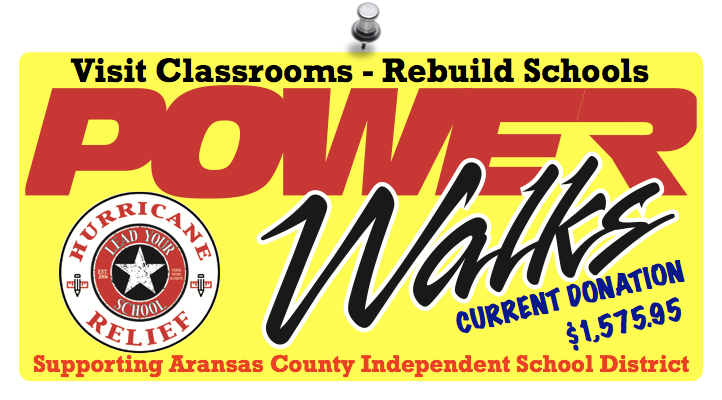 To assist ACISD in their rebuilding process, for every PowerWalks classroom observation conducted between August 25, 2017 and September 30, 2017, Lead Your School will donate 5¢. As of today, there have been 31,519 PowerWalks completed. This means that the current donation total stands at $1,575.95. LYS Nation, there is still one week remaining in September, keep stepping up!